It sometimes happens that people get into trouble with the IRS over unpaid back taxes. Many reasons exist as to why, but they all wind up at the same conclusion: owing the IRS the back taxes, interest, and penalties that get tacked onto the amount. You might be shocked at how much the IRS adds onto unpaid taxes. And the IRS expects you to pay the total regardless of your financial situation. You are getting punished for your lack of attentiveness to your record keeping and tax preparation. The good news is that all is not lost even though you owe. The IRS offers a few different tax debt forgiveness programs that are designed to accommodate the individual taxpayer. Why Does Someone Need a Tax Debt Forgiveness Program? Having multiple income streams is not uncommon as the gig economy has become more prevalent. And a job that lasts for a few weeks and doesn’t pay a whole lot might be forgotten about. Or the employer failed to send out a 1099-MISC for the earnings. Then there are times when you found you owed taxes and were unable to pay and didn’t ask for an extension so you could get the money together. Or you had an investment portfolio make large gains, you sold off the stocks to take the profit and you didn’t think you needed to report what you earned. These are just few options that could lead to one seeking tax debt forgiveness. 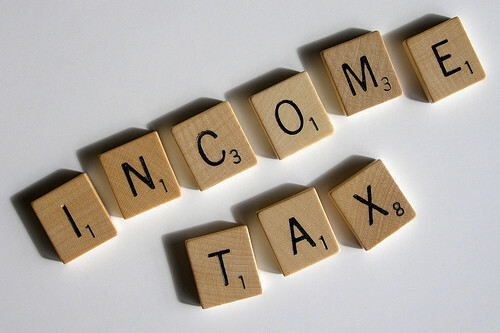 The IRS treats all income you receive as earned. There are exceptions to the rule such as gifts from family members, inheritance, and bequests. Everything else is fair game for taxation if you earned more than your personal exemption in a single year. It’s safer to keep track of all earnings throughout the year rather than deal with an unwanted surprise in the form of a demand letter for back taxes. Another issue that arises is when people owe back taxes for years without making an attempt to pay it off. In that situation, instead of tax debt forgiveness, the IRS puts liens and penalties on the delinquent taxpayer and adds to the burden of repayment. The takeaway here is the IRS will not back off someone who owes them money. Just because someone increased their income doesn’t necessarily mean they have the money at hand to pay off the tax liability when it comes due. That’s something the IRS recognizes and works with taxpayers to settle the debt before it becomes a problem. There are a few IRS forgiveness programs available to help someone who’s dealing with back taxes. They make it easier to lower the amount owed and one IRS tax debt forgiveness program helps reduce the amount owed to pennies on the dollar. The Offer in Compromise (OiC) is an alternative to tax debt forgiveness and a program that allows taxpayers to repay their debt for less than the original amount, penalties, and fines. It’s a program that is frequently advertised on TV by companies who help with alleviating tax debts. The commercials make it sound like it’s easy for anyone who owes back taxes to pay less than they owe when the reality is much different. Getting an OiC successfully accepted requires the taxpayer to prove they are unable to pay back the taxes owed in full or through an installment plan. A delinquent taxpayer has to be able to prove that their income isn’t sufficient to pay off the debt and they don’t have assets to sell or savings to put towards the debt. This is due to the fact the IRS performs an investigation into the taxpayer who’s requesting the ability to pay off their debt for less than they owe. There is no taking the request at face value due to the nature of the OiC. The reason why a delinquent taxpayer tries to get into an OiC is the fact that the debt gets paid off for pennies on the dollar instead of the entire amount with interest and penalties. For example, you owe the IRS $10,000 in total, but you are unable to pay the amount even through an installment program, and you don’t foresee an increase in your income in the next year or two, or the ability to find money through other means. Therefore, you decide to take advantage of the IRS tax forgiveness program in the form of the OiC. You offer the IRS the $1,000 that you know you are capable of paying either at once or over a payment period. The OiC program used to be much more difficult to get into as The IRS does have more flexibility to analyze the taxpayer’s ability to pay and it has opened up the program to a wider group of taxpayers than ever before. And the IRS generally accepts an offer if the amount represents the maximum amount the agency can expect to collect within a certain period of time. Applying for the OiC requires the taxpayer to submit an initial payment with the application. The IRS review the application and requires the taxpayer to make further payments with the offer even though it hasn’t been accepted. The taxpayer has the option to pay the OiC in full or in an installment plan. All monies paid towards the tax debt is considered to as paying down the debt even in the event the OiC doesn’t get accepted. A tax lien may be filed but all collection activities are suspended, the legal assessment and collection period is extended, and the offer is automatically accepted if the IRS does not make a decision within two years of IRS receipt of the application. Someone who meets the Low-Income Certification Guidelines does not have to send an application fee or initial payment. Monthly payments are also not necessary while the offer is being evaluated. Those who think they are ineligible for an installment agreement plan can fill out Form 9465 and Form 433-F to pay in installments. However, interest and penalties are still applied and have to be paid. In the event the taxpayer feels they can pay the outstanding balance within 120 days, they do not have to file Form 9465 and Form 433-F. Installment agreements have to be maintained throughout the agreed-upon repayment period. That is, the taxpayer has to make sure that they make their payments on time and not miss a payment. Missing a payment can trigger the IRS to revoke the agreement and reinstate the debt as due immediately. But if you are unable to make your payment for the month due to financial hardship, do not make the assumption that the IRS will not work with you. In the event you find you are having trouble making payments, contact the IRS to let them know. While this can be an embarrassing experience to admit to the IRS you are in financial difficulties, it’s actually in your favor to be honest. The IRS can find ways to help you through the tough period and lower your payment or give you an extension on a payment deadline. In turn, you are considered as current on your payments and won’t get penalized. The IRS Fresh Start program means the IRS won’t file a notice of lien on those who owe less than $10,000 in most cases. The IRS does reserve the right to file a lien in certain cases. Those who owe less than this amount and do not qualify for most programs may be able to use the Fresh Start program to get relief. When it comes to initiating a lien, the IRS evaluates if the taxpayer has been avoiding paying their liability through less-than-honest means. A taxpayer who can afford to pay off their debt through other avenues and chooses not to is considered as evading their responsibility. While the IRS only goes after serious offenders to the point where there is an arrest, court dates, and jail in the event of a conviction, the agency does have other means of collecting money in the form of a lien. If you are ineligible for repayment programs, you may wind up dealing with a lien against any property of value you own. However, you can get that lien removed once the outstanding debt has been paid. Another option for someone who doesn’t qualify for tax debt forgiveness is to file amended tax returns in the event there are deductions that were allowed and not taken. The IRS allows taxpayers to amend previously filed tax returns in order to correct mistakes even if they are in the taxpayer’s favor. You can go back up to three years of filed tax returns to find any deductions that were missed the first time. A tax lien cannot be discharged in bankruptcy and may make this option less than appealing if a lien has been filed against your property. The reason for this has to do with the nature of bankruptcy. The theory of bankruptcy is that the debtor makes an effort to repay their creditors through the sale of assets. And if you have property, it’s an asset that has the potential to turn into cash through liquidation. Chapter 13 lets you repay your debts for three to five years while retaining your property and the lien has to be repaid in full. If you’re having problems with owing the IRS money and want to resolve your issues with tax debt forgiveness, contact us today. We can help you find a solution that lets you take care of your debts and move on with your life without worrying about what the IRS can do to you. Next PostNext Who Can Help With Debt Relief?